BUSAN -- The 22nd Busan Film Festival has seen numerous celebrities attending its events this year. Here’s a look at the stars that have been seen in the southeastern portside city so far. 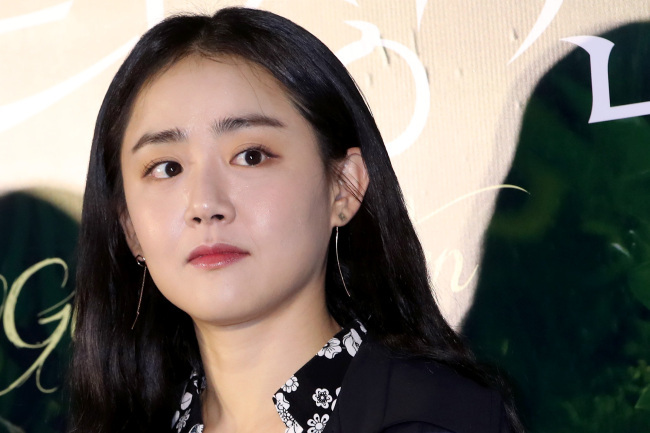 Moon Geun-young participates in an open talk with filmgoers about BIFF’s opening film “Glass Garden,” in which she plays an anxious and isolated scientist, at the Busan Cinema Center Sunday. Japanese actress Minami Hamabe, who stars in “Let Me Eat Your Pancreas,” greets audiences at the Haeundae BIFF Village Sunday. Song Kang-ho, who stars in “A Taxi Driver,” walks on the Buil Film Awards red carpet Friday at BEXCO. Moon So-ri, who wrote, directed and stars in “The Running Actress,” walks on the Buil Film Awards red carpet Friday at BEXCO. 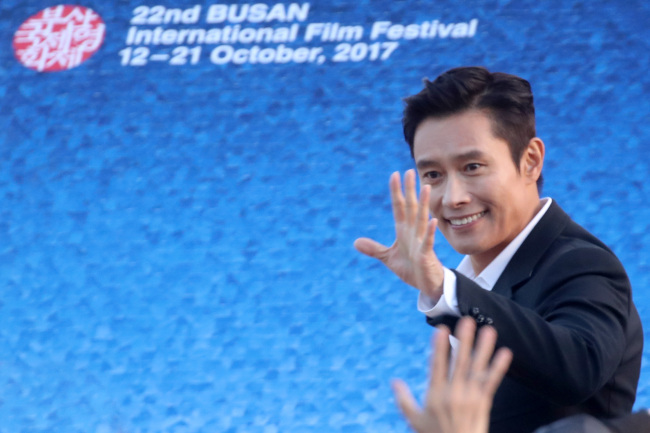 Lee Byung-hun, who stars in “The Fortress,” waves to audiences at the Haeundae BIFF Village Saturday. Park Hae-il, who stars in “The Fortress,” walks to the stage at the Haeundae BIFF Village Saturday. Miho Nakayama speaks at a press conference for the film “Butterfly Sleep,” invited to the Gala Presentation, at the Busan Cinema Center Saturday. Son Ye-jin, who stars in “The Last Princess,” walks on the Buil Film Awards red carpet Friday at BEXCO. Veteran actor Shin Seong-il, whose works are highlighted in the Korean Cinema Retrospective exhibition this year, speaks to reporters at a press conference Sunday. 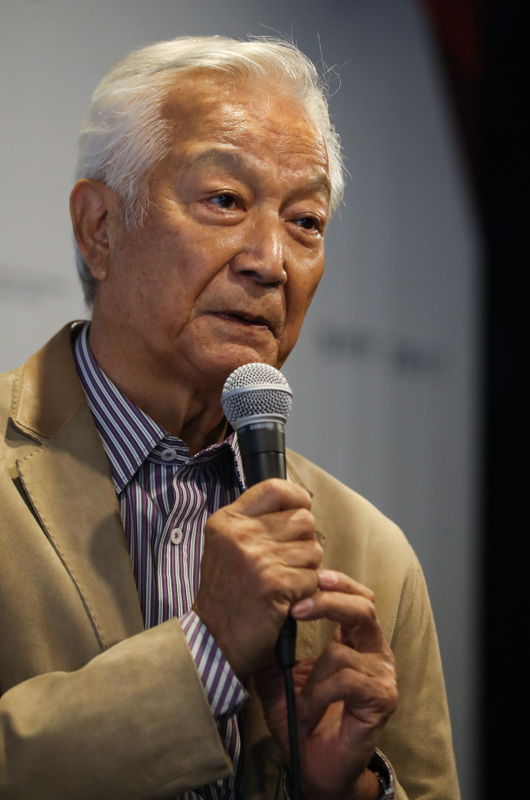 The actor, currently battling lung cancer, has appeared in more than 500 films since his 1960 debut, playing a critical role in the development of Korean cinema. 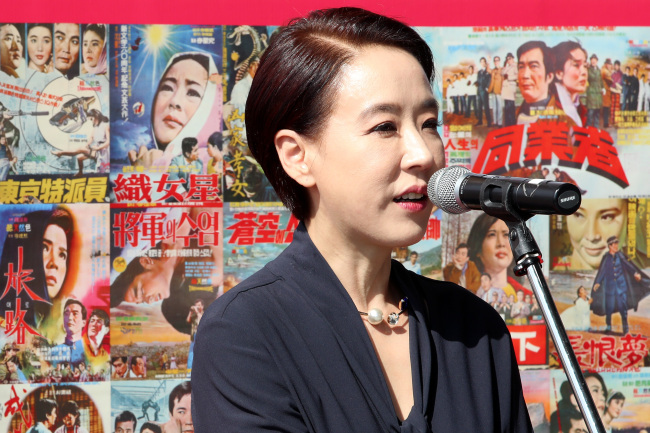 BIFF executive director Kang Soo-youn speaks to audiences at the Busan Cinema Center Friday. Kang has been following a hectic schedule, moderating talks, meeting with actors, audiences and reporters.